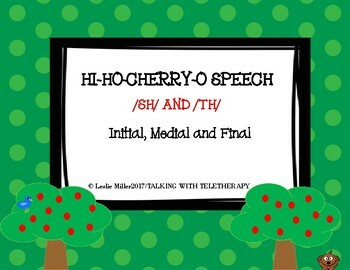 Hi Ho Cherry O Speech /Th/ and /Sh/! This packet has been designed in landscape mode for the Teletherapy Platform, but can easily be printed and laminated to use for table top. 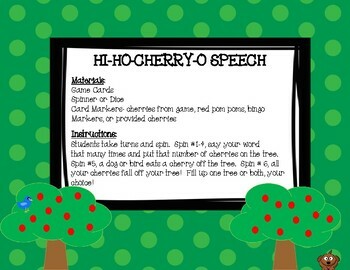 Enjoy the game of Hi Ho Cherry O while practicing your articulation sounds. Game boards are large and easier for little hands to use without struggling to manipulate tiny cherries. 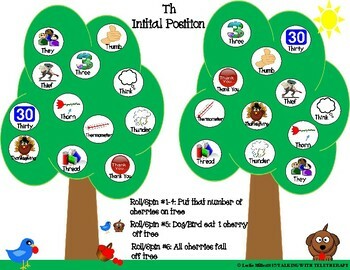 Use the blank game boards and use with language and/or articulation targets. Directions on each game board. Use a spinner or dice to play the game. 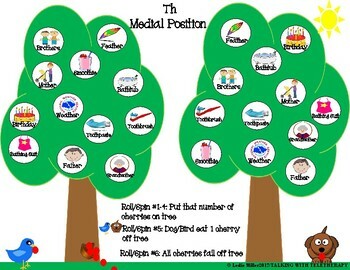 In teletherapy room, use your stamps to cover your tree!